Retaliatory strikes expected to last hours. The Israeli airstrike began striking targets across the Gaza Strip Monday evening in response to a long-range rocket struck a civilian home in central Israel in the morning. “The IDF has began attacking terrorist targets belonging to the Hamas terror organization across the Gaza Strip. More details to come,” the IDF Spokesperson’s Unit said in a statement. The IDF retaliation is expected to be strong and could last for several hours. Following the incident, IDF Chief of Staff Lt.-Gen. Aviv Kochavi held a situational assessment with the the head of Military Intelligence Commander Maj.Gen. Tamir Hyman, Commander of the Israeli Air Force Maj.-Gen. Amikam Norkin, the Head of the Southern Command Maj.-Gen. Herzi Halevi and other senior officers. Toward another escalation? Residents of the Gaza vicinity were instructed Monday to increase their vigilance in anticipation of an IDF attack in the Gaza Strip in response to a rocket launch that directly hit a house in Moshav Mishmeret early in the morning, injuring seven Israelis, six of them family members. soon. Shelter opened in Ashkelon| Photo: Ashkelon Municipality Preparations Ashkelon, dinner| Photo: NewsIn anticipation of the Israeli response, some areas in the vicinity were declared unusually closed military zones in order to remove civilians from the area and prepare the ground for a response that is likely to be exceptional in relation to previous cases. Israel Railways also announced that there were disruptions due to the tension: “According to the instructions of the security forces, the train traffic between Ashkelon and Sderot has been stopped, and for the time being, trains on the western Negev line (Raanana – Be’er Sheva) will begin their journey at the Ashkelon station.” Ofakim, Netivot and Sderot stations will remain closed until further notice. As a result of the security situation, areas and roads adjacent to the security fence were also blocked and agricultural work in these areas was halted. The blocked routes are: Kobi Hill in Sderot, Givat HaPa’amonim, the Black Arrow site, Givat Nazemit, the Lone Ranger Hill, Highway 4 from Yad Mordechai Junction to Netiv Ha’asara and Highway 25 from the Saad Junction to Kibbutz Nahal Oz. Following the missile’s direct impact on Moshav Mishmeret, the IDF launched a small reserve mobilization for the Iron Dome and Home Front Command and transferred an armored brigade and a infantry brigade to Gaza. In addition to the two brigades, the division headquarters will also be located in the Gaza Strip. Meanwhile, in Moshav Mishmeret they are still trying to recover from the rocket fired from the area of ​​the southern Gaza Strip and directly hit a house 120 kilometers away from the launch area, and the seventh injured is the neighbor’s daughter. Died at the Meir Hospital in Kfar Sava while three of the wounded were released, and the grandmother, who was moderately injured, was taken to Beilinson Hospital. According to reports, the landlady was the only one who did not arrive at the time in the shelter and was therefore more severely injured. In addition to the house that was hit, several vehicles and other houses were also damaged. “The Israel Police is prepared all year round and we are prepared for all the developments around us. We searched the house to make sure there were no more casualties,” said a police representative who arrived at the scene. Some of the residents of the moshav who were walking around the house said that they woke up in terror and thought at first that it was a siren experiment. “We did not believe it would come here,” they told the news reporter. “All the houses here in the area have been hit by a shrapnel, I do not know what a missile it was, but it was really serious,” said a resident of the town who was hit. “I am only a citizen, but I have to change the government in my opinion.” The IDF did not give special instructions to the residents. In addition to the two brigades, the division headquarters will also be located in the Gaza Strip. Chief of Staff Aviv Kochavi and the Chief of General Staff together with the head of the Shin Bet complete the assessment of the situation and prepare for a variety of scenarios. The IDF sees Hamas responsible for a rocket fired from the terrorist organization in Rafah and refuses to say whether the shooting was a mistake. 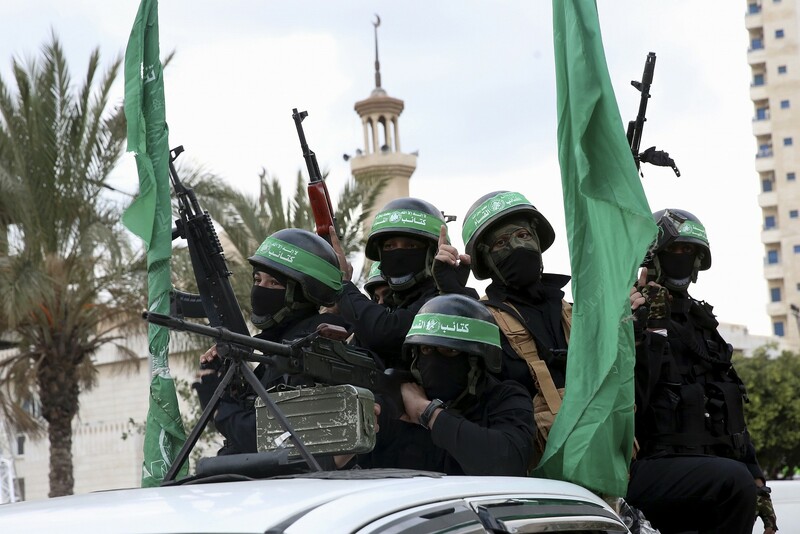 Hamas and other terrorist organizations are preparing to attack the IDF in the Gaza Strip. Seven people, six of them members of one family and the neighbor’s daughter, were injured when a rocket fired from a distance of 120 kilometers in the Rafah area hit a house in Moshav Mishmeret in the Sharon region. “Sources in the defense establishment said that the missile was not intercepted because it was not possible to do so. At around 5:20 AM, alarms were heard throughout the Sharon area. A few seconds later there was a loud explosion – and then it turned out that a rocket directly hit the building in Moshav Mishmeret in the Sharon and led to its collapse. Among the injured was a 60-year-old woman who was moderately wounded with the injuries to the sheet, minor burns and shrapnel injuries. And six lightly wounded, including a 30-year-old girl, a 12-year-old boy, and a half-year-old infant.